To change the situation, not necessarily to go to vacation at sea. You can not leave the city and even to go beyond their own apartments. Decorate the room in which you live, and it will refresh everyday experience. Update the textiles in the room. From bright fabrics sew covers for chairs and stools. Take any material, cut out a squares, equal in size to the seat of the chairs, leave seam (2 cm each side). Tuck the edge of the workpiece twice at 1 cm and prostrochite on the sewing machine. To the corners of the canvas and sew matching colored tape, which covers are attached to the legs of the chairs. Removable covers can be replaced with a new one almost every week. Seat sew colorful pillowcases. Pick up the tone of the material so that it is combined with the color scheme of the room or take a single color (e.g. white) fabric. Her contrasting tab on the application. Themes for decoration can be any even geometric shapes, fruits or stylized silhouettes of animals enliven the interior. To stripe not frayed, they can be processed on overlock or hem seam "zigzag". All the small items that you do not use daily, can be folded in a cardboard box decorated with colored paper. Take the remaining containers from shoes or equipment, using double-sided tape glue it paper for scrapbooking: thinner colored paper, mounted on carton glue can warp. Boxes, piled a stack in the nursery, can be decorated as houses, pasted on their side the picture Windows, balconies, masonry. Decorate the walls with the help of collage. Buy a large sheet of paper for pastel color that will contrast with the color of the walls. Arbitrarily attach to it your favorite photos, magazine clippings, fragments of maps. These photos hung on the walls one by one, that would be chaotic, here you will create a collage with common space and background color, allowing to avoid the effect of congestion. 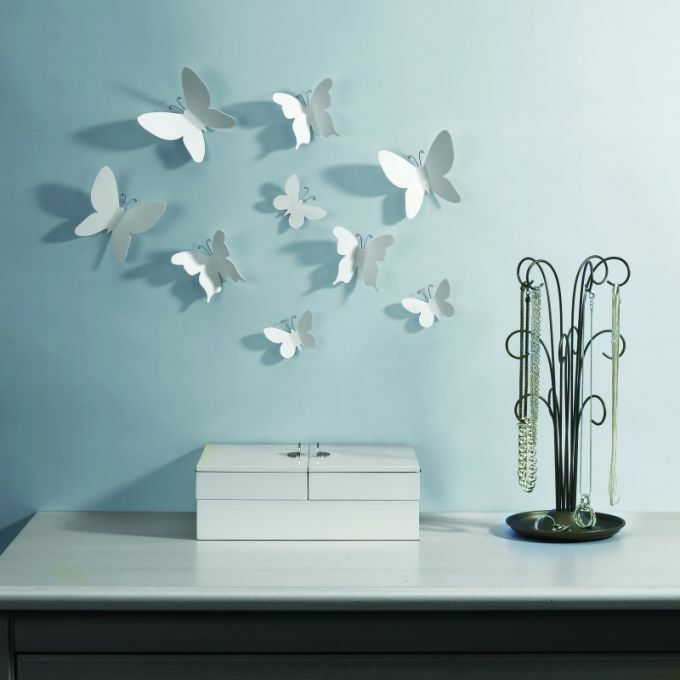 Easy to use decoration will be the wall decals that are cut from self-adhesive film and are selected in size to the gap which must be filled. Such a silhouette pattern can be cut from cardboard, and then as a stencil to attach to the wall and fill in with spray paint. To customise the look of the nursery will help figurines made in origami technique. Cranes, planes and stars suspended from the ceiling on fishing line and move with every breath of wind. Add a sky with clouds can be formed from pieces of wool.